When you’re scanning headlines, what are the characteristics of a good one – one that makes you click and makes you happy that you clicked? Recap: what makes for a good scenario? Mental models – how can we get inside the minds of our customers? Assignment 1: In your working pairs, look at the nonprofit sites. Pick one. 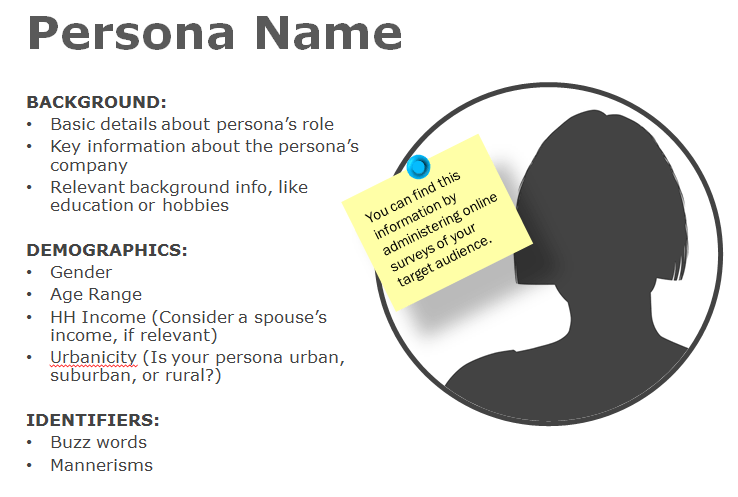 Develop a more detailed set of personas (at least three) than you did in our last session. Pick a task that fits one of the personas and write a scenario. Then test the task — capture clicks, backtracks, etc. Post details of this exercise on here as a comment. Remember to “sign” with the names of your team. If your partner isn’t here tonight, find a twosome to join. What are the criteria you are going to use to “judge” effectiveness of your design? Aesthetics? Functionality? Who are possible audiences (name three – with some detail)? Find at least possible three competitive sites; explain why they are competitors. What are design or content ideas you want to borrow? Avoid? What makes for a good scenario? Married mother of 2 young kids, looking for advice on children’s health, likes the social aspect, active participant, commenting, heavy social media user, likes the personality of blog (relatable), High Income Family, overprotective mom. Single Dad of 1 young kid, looking for advice, dislikes interaction, passive, uses internet for research/help, Low Income, avoiding healthcare, uninsured. Researcher for UW Children’s Hospital, researching social media and healthcare to improve UW social presence, high frequency web and social media super user, highly analytical, High Income. Joe’s kid is sick. He doesn’t have a pediatrician and doesn’t want to have to find a doctor or go to Urgent or ER (because of cost and lack of insurance). He googles the ailment (childs fever) and his location and this site comes up. He lands on a specific page that page that offers some advice, but recommends calling a physician because this can’t be 100% remedied via a blog post. This information suffices for Joe’s use case and he feels peace of mind. Scenario: Jane wants to understand cancer. Jane clicks on Get Help and then looks at the Physical Effects under Learn about Cancer. Jane is overwhelmed by the list and somewhat demoralized. So she clicks back to Learn about Cancer and finds Survivor Interviews. Watching the videos and reading the transcripts make her feel better, less alone. She identifies with one woman in particular and finds hope in her story. She bookmarks the site to come back to again and sleeps a little better that night. We chose to develop a scenario based on Persona 1 (Ann). 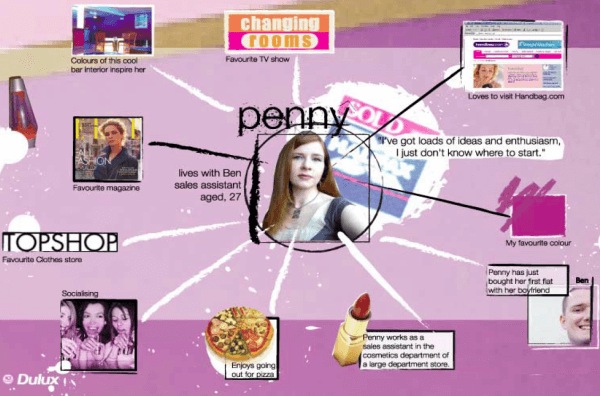 Scenario: Ann is looking for prospective after-school activities for her two children aged 10 and 8. She read about the organization on a mom blog and thought it would be a great place to help cultivate better writing skills in her kids and a stronger passion in reading. We accessed the site on the assumption that we were seeing it for the first time, and as a mother interested in taking an active, participatory role in her children, we clicked on the “Our Programs” button on the top nav, and then the Workshops page. Unfortunately, we found that the three events listed under Upcoming Workshops were all filled, and we could only be wait-listed. We decided to go to the Calendar section to see if we could learn about what else was available. We found some of the type small, and we were confused by the key. The navigation seemed cumbersome, and it took some time to realize that we could use the drop-down filter to look at only upcoming workshops. Neither the Workshops page nor the Calendar page is perfect: the former only lists the next three events, whereas the latter requires numerous clicks and scrolling before we can see whether the event still has openings. Thom- 60, divorced.He is retired military, has 3 kids (all adults) enjoys his alcohol socially. Since retiring from the military he has run the local bar in a small town in Iowa. In remission for 3 years from cancer in his liver. He is on the list for a potential liver donation, but doesn’t hold out a lot of hope. He is looking for people to talk to about surviving and has trouble finding anyone in his home town because it is so small. Caroline- 39 She is a single Mom, middle class, works in an office environment at a local importing company in Boston. She found out her son has a form of cancer after he was injured during sports, it makes his body easily hurt. She has some health insurance for her son but isn’t sure it will cover everything. She is looking to find any information she can in hopes of helping her son. Sue- 42, married for 16 years, mother of 2 boys (10, 15), college educated, working professional in a management position with a lot of responsibilities. Lives in the Portland area. Just found out that she has a brain tumor. It has been found in the early stages but she will still need intensive treatment. Athletic when growing up still spends a lot of time staying in good shape. Sue is having a bit of a freak out and someone at the gym mentions the Livestrong page, she goes to the page because she is trying to find as much information as possible before she tells her boys. She and her husband have talked about it, but even with what the doctors have given them they don’t feel prepared to break the news to the boys, and then to the rest of their family. She goes to the page to find information to prepare. She lands on the page, and sees the information button. Clicks on the information button and sees a button for guidebook. Once at the guidebook she finds that she can order the guidebook for free. She sees the reviews and decides to order the book, but feels a little disappointed that the guide link didn’t give her immediate answers. She goes to the Cancer support topics. She clicks on the Emotional effects of cancer, then is presented with a list of options. Strangely enough there is no link for kids or family, but there are links for telling others, partners, or dating. She can’t find exactly what she is looking for but does find bits and pieces that could help. Then she goes to the physical effects of the cancer link and learns about what she can expect so that she can not only be prepared herself but also be able to tell the boys what to expect. Going back to the homepage she clicks on resources and looks through the different links and finds family support for families in Oregon and Washington. Overall while the page won’t replace her doctors, the site provides information and also resources that could be useful for her and her family in the upcoming months. 1) Nancy is a biology teacher at Ballard Junior High. She is late-twenties who is a member of the Sierra Club. She is passionate about traveling. 2) Doug works in human resources at a tech firm, his company already has an annual corporate membership, early 40s with an established career and masters education in communications. Married with two kids (twelve and eight years old). Recently moved to the Seattle area from Idaho after receiving a promotion at work. 3) Evan is a fifteen year old male, prefers doing outdoor activities with other people, Native to Seattle and loves boats. Heard of The Adventurous from a friend. Scenario: Evan wants to take his dad on an all-day sailing trip on the Puget Sound as a surprise for Father’s Day. He’s saved his weekly allowance for three weeks ($70) to pay for the trip. His mother is supportive of Evan’s enthusiasm and is willing to accommodate him with transportation and any extra fees. Task: Evan attempts to Google “The Adventurous” and doesn’t receive the search results he’s expecting. He asks his mom for help, who suggests typing “Adventurous sailboat Seattle.” While typing this in the search bar, Google recommends “The Adventuress sailboat Seattle.” From the homepage, he goes to the “Sail with Us” tab, and chooses “sailing schedule” There is no information about how to make a reservation on their sailing schedule. Next he tries “Trips, for Teens, Adults & Families” and still finds no information about one day trips. Next, He tries “Public Day Sails…” and is redirected to “2012 Public Sail & Tour Schedule.” He finds the exact date, port, and time and his mother finishes the rest with her credit card info. 1): Ian, 25 years old, single, is looking for a new volunteer opportunity. He studied marketing and works at an advertising agency. He loves to read and enjoys being around kids. He’s new to town and wants to get involved and meet people and thinks that volunteering would be a way for him to give back while also meeting new people. 2) Peter, 15, who is struggling in his English classes. He plays and excels at sports, so his studies sometimes come second to practice. He is especially finding essay writing difficult, and it’s a main part of many of his classes. In order to bring his grade up, his instructor and parents told him that if he didn’t bring his grades up, he couldn’t play sports anymore. He’s checking out 826 Seattle because he knows that they help out with writing specifically. 3): Richard Vanderbilt, is a 67-year-old former business owner who retired a few years back. His story is a rags to riches story, wherein he grew up without anything, went to school and started his own advertising business which was a massive success. He still owns the business but has taken a back seat to enjoy his retirement. As a result of his endeavors, Richard has gained a considerable amount of savings and feels the need to give back often. He took advantage of non-profit tutoring while in school and college, so he feels a particular desire to become a benefactor to one such organization. – Peter gets on the website and while looking at the home page, he looks immediately to the top of the page navigation bar that says “student” and clicks on it. – On the students page, he notices that he is within the age range to receive free services, which is great. – His eyes then dart down to part of page that says “after school tutoring.” He clicks the link to find out more. – On the after school tutoring page, he sees that he can click an orange button that says “register now,” and does. – After clicking on the button, a .pdf document pops up, which frustrates Peter. He can’t type directly into the document from the website, so he tries to save it. No luck there, as an error message pops up. – Peter is even more annoyed, and thus leaves the website. No tutoring sign up today. Kwame is a male university student in Ghana studying international development. He is working on a term paper for one of his courses on infant mortality situation in Ghana. He comes to Unicef.org to find statistics on the situation, and any current, past, or planned international initiatives on the issue. Anne is a 40 year old professional female in Manhattan. Anne is the mother of two children and has become increasingly aware of the life conditions of children developing areas in Africa. Anne goes to Unicef.org to find child welfare programs that resonate with her, with the objective of being a regular donor. Brian is a junior at the University of Wisconsin studying international policy. He’s not sure exactly what he wants to do after he graduates, but he is interesting in global health and wants to work with a NGO or international organization in developing countries after graduation before returning to the states and working to drive policy. He is a heavy internet user, but has not done a serious job search before. Brian is looking for an intership or volunteer opportunity for the summer or next semester. He’s also trying to find a list of positions with various organizations to see what jobs might be available after graduation. He has never visited the Unicef site before, but knows the organization and wants to work with them. Clicking that shows there is one posting, for a data analyst position in New York. It’s not exactly what he’s looking for, so he sees another list for a “New and Emerging Talent Initiative.” He clicks that, which takes him to an outside site. (unicefcareers.org). He looks at it, and then goes back to the main Unicef site, where he looks for volunteer opportunities. The volunteer page shows that all the main volunteer opportunities are for people with work experience. There are some U.S.-based volunteer opportunities, but it again goes to an external site for Unicef USA. After checking that page, he returns to the main Unicef page, and sees that the employment pages have the “Who we are” tab highlighted at the top, so click that to see if there is something he missed. There is a FAQ, but it answers questions about how to apply for a job, not about what the jobs might be. Since Brian hasn’t found any good opportunities, he goes back to the internship page which says “check back regularly” to see if there is anyway to be notified of new opportunities as they are posted. There are social media sharing links, but no option to have new listings emailed or an RSS feed. Frustrated at the lack of opportunities, and unsure how to find new postings without checking the site each day, Brian leaves Unicef and tries another organization.